I'm an experienced life coach and Three Principles practitioner, with an eclectic and spiritual style of working, and I love coaching! I provide career coaching (so you can again feel "yippee it's Monday morning!" if that's been lost to you) as well as personal coaching, 3 principles transformative coaching, mentor coaching and energy healing. If you are wondering how coaching could benefit you, and whether I'm the right coach for you, or you have any questions - please do contact me as I offer an initial consultation with no charge and no obligation, and I'm always happy to talk through what you are looking for. You can speak with me from Monday to Thursday - my hours on those days are 10 am to 8 pm, with the last session starting at 7 pm. I work by phone, Skype and face-to-face. There are various coaching programmes you can choose from - a block of sessions has fees starting at £349, and I also provide one-off sessions starting at £65. CAREER COACHING. Having been in the wrong career myself for 22 years and now enjoying my ideal career, I am passionate about helping others do the same. The tried and tested holistic career coaching programme I provide enables my clients to discover who they are, gives them clarity about the work they would absolutely LOVE to do and then have the confidence (and practical strategies) to make the move into that career. I specialise in working with professionals who feel trapped by 'golden handcuffs' because that's what happened to me - it had taken me years to get qualified, to achieve a senior position within my firm, I had a great salary and benefits, thought all my skills were technical and only relevant to my existing job. I ignored being stressed and depressed - I believed for years that I shouldn't and couldn't make the move. But I did! And I haven't regretted that decision for one moment. MENTOR COACHING. It is such a pleasure and honour working with new coaches! I love their enthusiasm and passion. If you are a new coach I can support you in getting your qualification, setting up your business, building your confidence and increasing your skills and techniques. PERSONAL COACHING. I work with individuals who find themselves at a crossroads; successful people who feel something is missing in their lives. Is that you? Coaching can help you clarify what's important to you, discover how you can create your reality, and generally increase your happiness and life satisfaction. THREE PRINCIPLES / INSIDE OUT COACHING. Based on the work of Sydney Banks, these transformative coaching conversations can point you in the direction of how you create your experience of life. When you understand that we all live in the feeling of our thoughts, that we create our reality from the inside out, that we all have innate wisdom - life changes! ENERGY HEALING. Emotional Freedom Techniques ("EFT") and Matrix Reimprinting are both powerful processes that facilitate the release of negative emotions and limiting beliefs. I can provide a single 'sample' session if this is a new concept for you and you just want to experience these energy healing techniques. Or you can book a block of sessions if you'd like to work on those issues, fears, emotions and limiting beliefs that are holding you back - and probably affecting your health too. Call me now to find out more. Experience: Transitions Life Coaching was set up 17 years ago and the coaching services I have provided include personal coaching, career coaching, mentoring and supervision for other coaches, and energy healing. Training and qualifications: LCH Diploma from Achievement Specialists, Business Performance coaching with Newcastle College, coaching supervision with CSA and licensed as a Firework career coach. I'm a member of the Association for Coaching. I confess to being a perpetual student! I have attended several courses with Michael Neill on coaching mastery and on the Three Principles, various courses with Dr. Robert Holden, and I have also studied positive psychology (including a course on The Science of Happiness), clean language, spiritual coaching and Heart Intelligence. In 2017 and 2018 I completed various courses via Coaches Rising, including Coaching from Source and the Power of Embodied Transformation (somatic coaching). I have a degree in Psychology from the Open University. 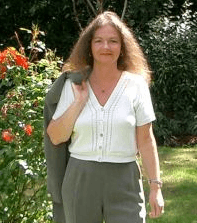 For energy healing - I am an advanced EFT practitioner (trained mostly by EFT masters Sue Beer and Emma Roberts) and a practitioner of Matrix Reimprinting, trained by EFT master Karl Dawson. I offer an initial consultation with no charge and no obligation, so you can discuss what you are looking for, ascertain whether my services are right for you and to see if we'd be a good fit working together. There are various options available to you, with a range of prices. I also provide a one year coach mentoring programme, with 3 different levels - price on application.